Russia’s state nuclear energy company Rosatom denied on Monday reports that the shell of a nuclear reactor was damaged after falling several feet from a crane in northwestern Belarus. MOSCOW (Sputnik) — Media claimed that an accident occurred on the night of July 9 at the construction site of Belarus’s first nuclear power plant. 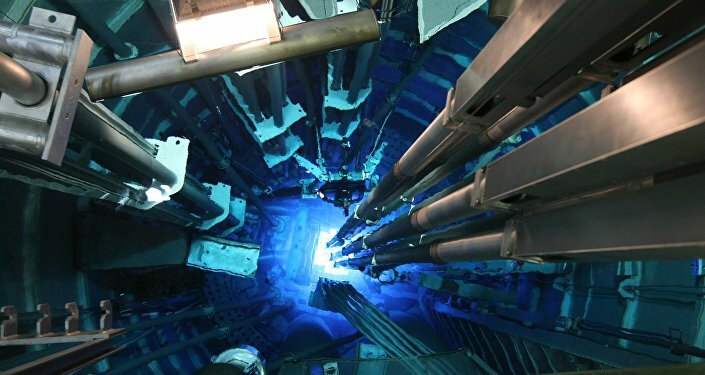 "It is wrong to use misleading words like ‘hit the ground’ or ‘fell’ because the reactor was moving toward the ground at a pace below that of a pedestrian," Rosatom’s First Deputy CEO for Operations Management Alexander Lokshin told reporters. Lokshin said a subcontractor firm was relocating the reactor horizontally some 30 feet within the construction site with a crane when it malfunctioned. The massive cargo was left strapped to the crane for half an hour and tilted slowly to one side until it was handing diagonally from the sling and touched the ground. "As for the shell, there was no significant impact on it that would have changed its properties," the senior nuclear official said, adding the maximum impact was 1.5 times weaker than what it is designed to withstand while in use. Lokshin said that the cargo had been strapped in violation of rules. The subcontractor has been punished and the workers responsible for moving the reactor on that night have been discharged for causing a delay in the assembly process. The 2,400-megawatt reactor is intended for one of the two power units of Belarus’s first nuclear power plant on the border with Lithuania. The first power unit is expected to go online in 1918, the second in 2020.